On this day in 1983, a 'once in a lifetime' voice was silenced. That perfect voice would be from the chords of Karen Carpenter. 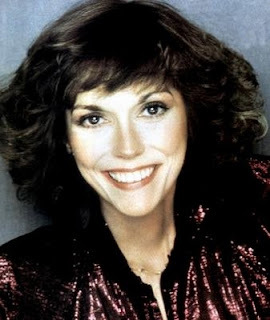 I don't think I have ever met anyone who doesn't, at least, know who Karen Carpenter is, let alone know the beauty of her voice. Why would I choose to write about this? Well, I am also a singer and I have the same initials as Karen AND the same first name...so I feel a little connection. Christmas is still a very recent memory and so are the many times you probably heard The Carpenters sharing their holiday tunes that invoke that unmatched feeling of Christmas! I actually heard an interview on WPHT-AM here in Philly where Karen Carpenter was rated one of the top 3 Christmas voices of all time. I have to admit that it never quite feels like Christmas until I hear her perfectly-pitched voice singing Christmas carols. In just her short 32 years she was able to create a living portfolio that will last forever. She will continue to build a following with each generation, her voice is timeless. With so much turmoil in the world right now there is a great need for all of us to feel some sort of comfort. That is what I feel when I listen to KC. A warmth that never fades. I wanted to share it with all of you. Do you have a favorite Carpenters song?